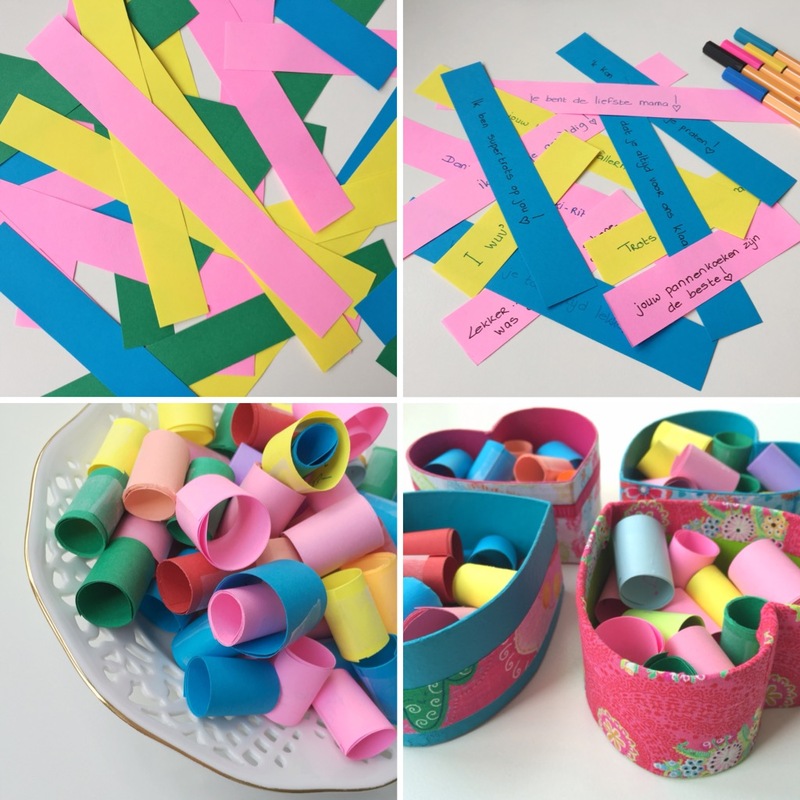 This is a sweet and fun little project for that very special person in your life (like your lovely mom, grandma, friend, well…… basically anyone important to you), that you want to tell how treasured they are – in a very personal way! 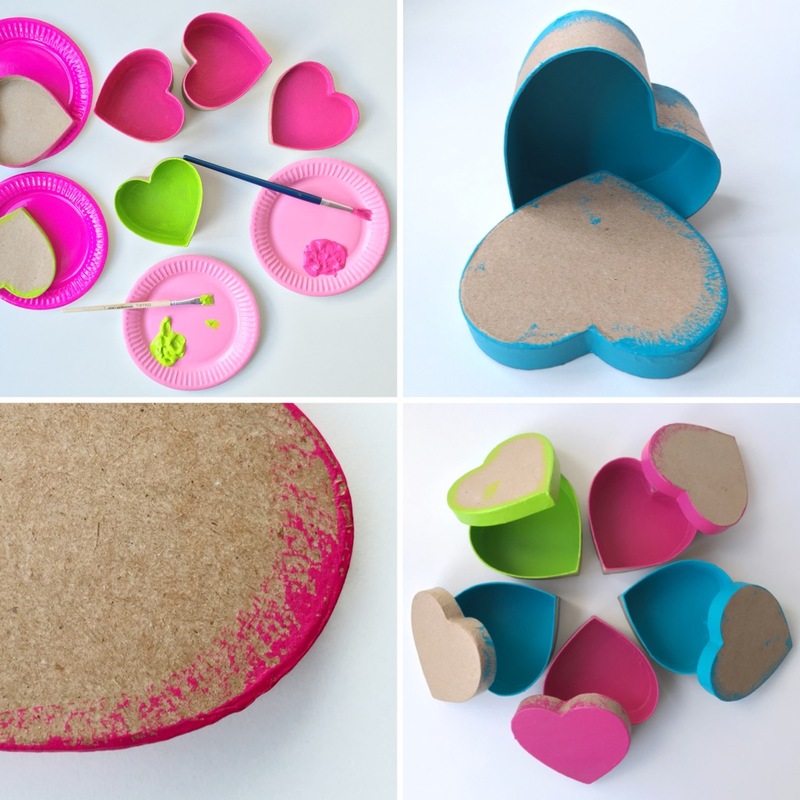 First, we’ll decorate the cute heart shaped boxes. Next we’ll fill them with notes, on which you’ll write down why your dearest is this fun, charming and beautiful. 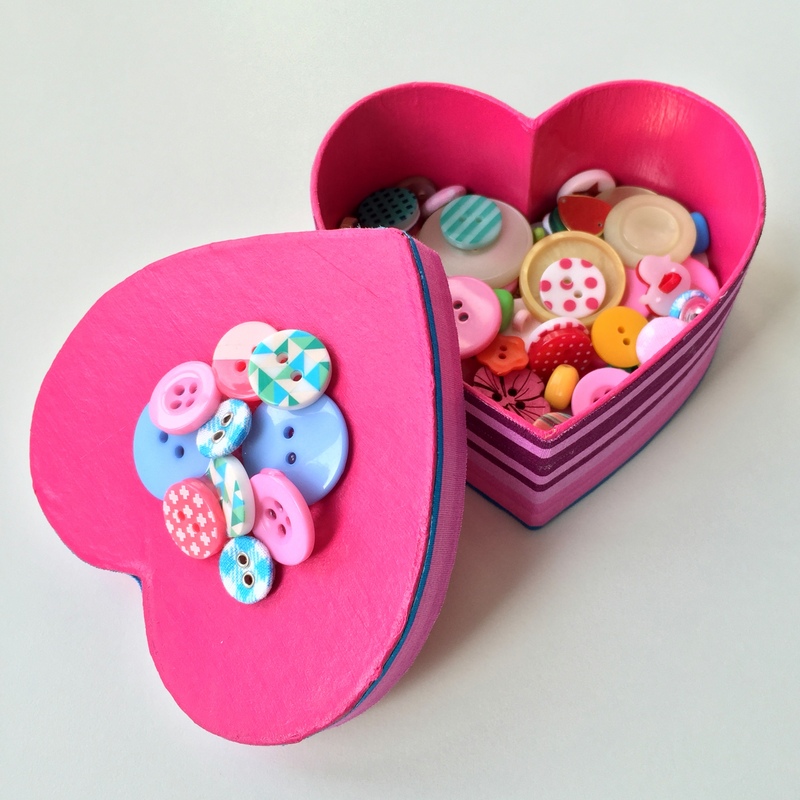 It’s a perfect diy to do with your kids too – smiles all around, I guarantee, especially from the person this treasure box is made for! For the pdf, please click here. 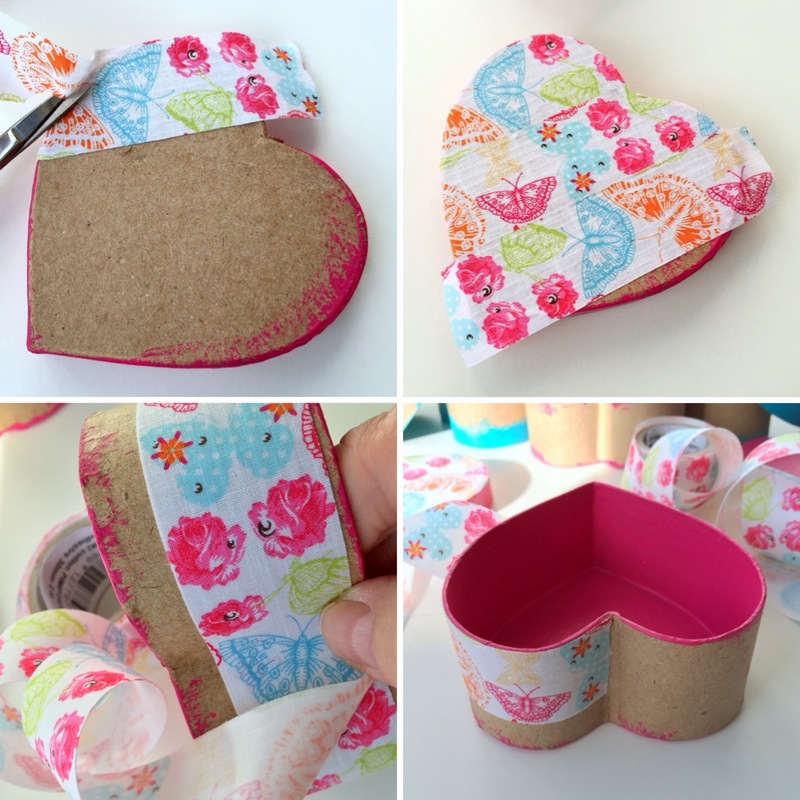 Paint the inside and bottom of your box, as well as the heart shaped lid (two coats). You can either paint or use tape for the side of the lid. 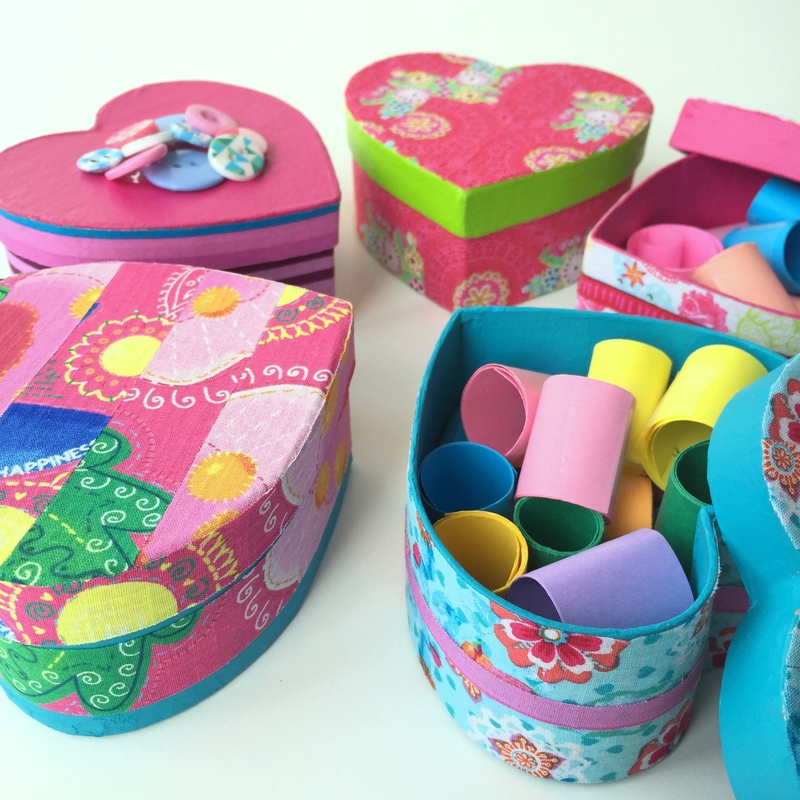 While you let the paint dry, you’ll cut strips of paper, and start to write down fun and sweet things, that you think describe the person you’re making this treasure box for well. Roll them up, and secure them with a small piece of scotch tape. 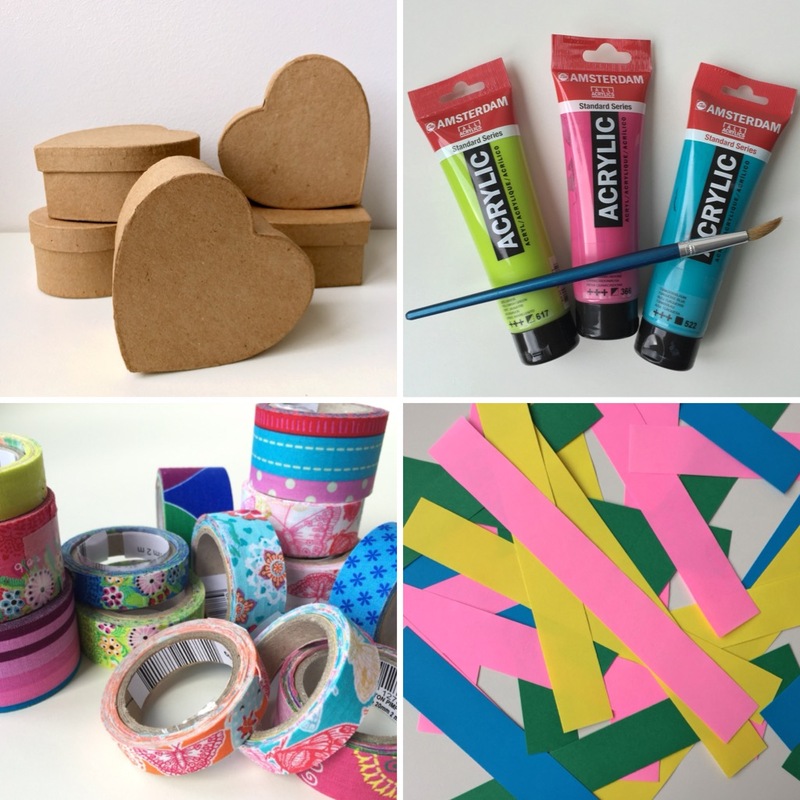 This is the time to start using the decorative tape. As you can see in my photos, there are several ways to do this. For two of my boxes I cut small strips from one roll of tape, and used them to decorate, in combination with another kind of tape. 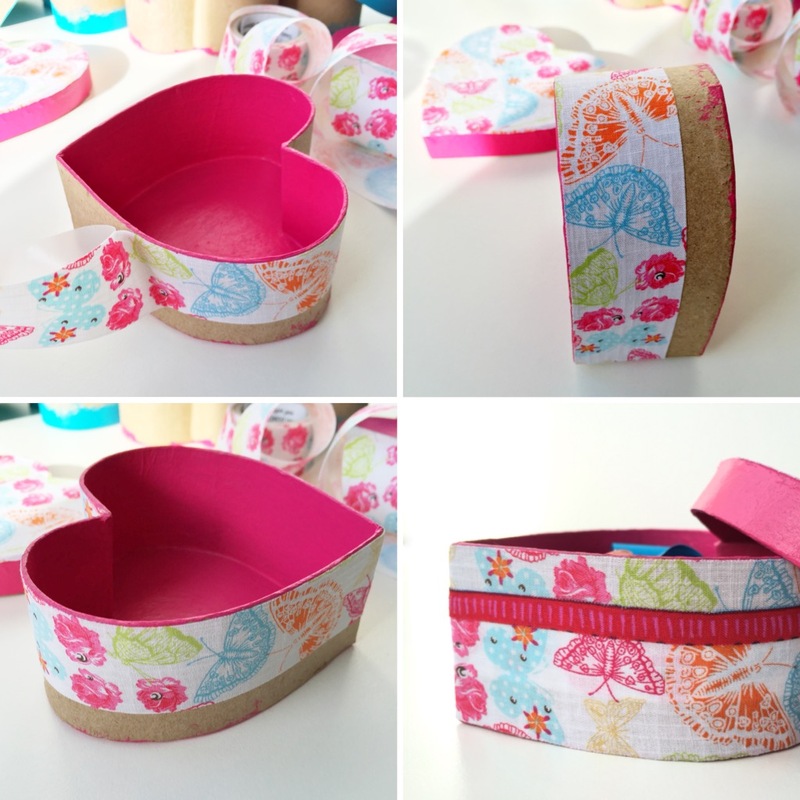 On to the lid: after you’ve taped each strip to the lid, you’ll cut away the leftover tape with a sharp pair of scissors – the edge is your guideline. 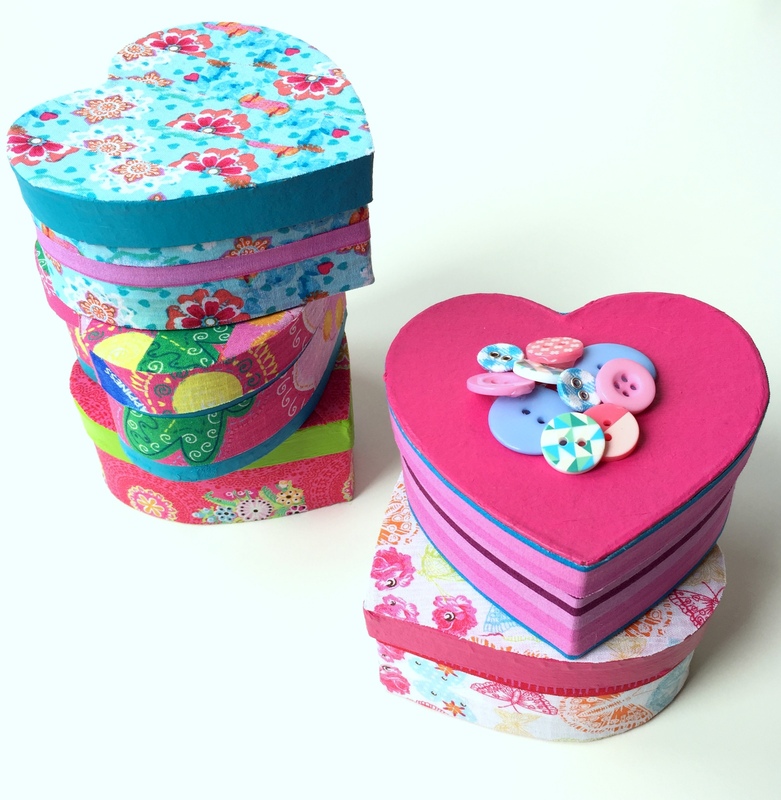 These boxes can be used in many different ways; as you can see, I transformed one of them into a button box, simply by gluing some buttons to the lid. 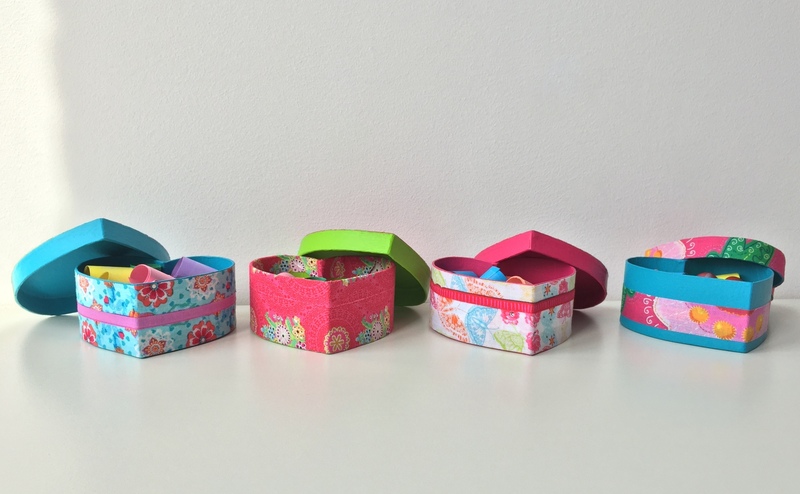 They also make perfect little jewelry boxes, and are a nice way to wrap small presents, or gift cards as well!